The aim of this study is to numerically investigate the influence of particle breakage on the mechanical behavior of granular materials using a discrete element method (DEM). To enable particle crushing, non-crushable elementary particles are boned together to represents the granular aggregates which can be crushed when the external force exceeds its strength. The flaw of the aggregate was also modeled by randomly distributed void. Single particle crushing tests were carried out to determine the distribution of particle strength. The results of single particle crushing tests illustrate that the simulated single particle fracture strength and pattern agree well with the Weibull’s distribution equation. Conventional oedometer tests, drained monotonic and cyclic triaxial tests were also carried out to investigate the crushing of the aggregates and the associated mechanical behaviors. The effect of confining pressure on the crushing of aggregates and the mechanical behavior was also analyzed. It was found that the peak stress and dilation decrease significantly when particle crushing was considered. The deformation behavior of the specimen is essentially controlled by two factors: particle rearrangement - induced dilation and particle crushing - induced contraction. The increase of permanent strain and the reduction of dilation were observed during cyclic loading and they tend to reach a stable state after a certain number of cycles. The crushing of aggregate is most significant in the first two cycles. The results also indicated that for the same axial strain the volumetric strain and the bound breakage in the cyclic loading tests are significantly larger than that in the monotonic loading tests, especially at high cyclic stress ratio. 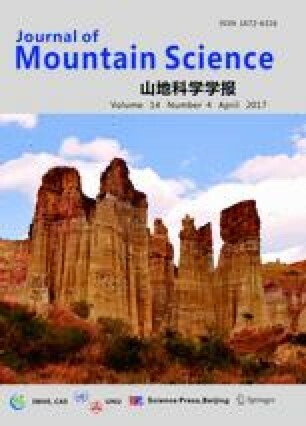 This work was supported by National Natural Science Foundation of China (Grant Nos. 51578413, 51238009 and 41272291) and the Fundamental Research Funds for the Central Universities.